The historic Western Massachusetts ski area's lifts are not yet ready to operate. Ski Blandford is still facing an uphill battle, just months after being rescued from closure by the owner of Ski Butternut. In early December, the area took delivery of a fleet of SMI Polecat fan guns and a PistenBully snowcat. As recently as December 9, Ski Blandford made a Facebook posting that it was "Hoping to open for Christmas Vacation week!" 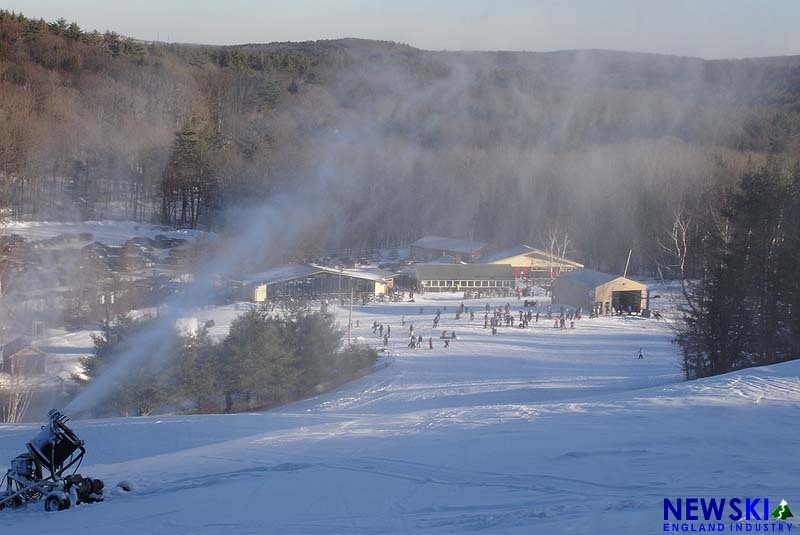 Snowmaking started on December 20th and, as of yesterday, "there is already a good base." However, the area's vintage Hall double chairlifts, ranging from 39 to 48 years old, are not yet ready to roll. While a definitive timeline has not been announced, management intends to open as soon as the lift maintenance is complete, stating "new Management’s number one priority is the safe operation of the mountain." Ski Blandford has not opened before Christmas since 2010, and has not opened until January in two of the last three seasons. In the meantime, Ski Blandford season passholders are able to ski for free at sister ski areas Otis Ridge and Ski Butternut. Located in the town of Blandford, the current Blandford ski area was operated by the Springfield Ski Club from 1936 to 2017. In the spring of 2017, the club's board notified membership that "Blandford Ski Area is financially insolvent" due to enrollment falling from a high of roughly 5,000 down to 1,426 in 2014-15. Stating that it "does not have the money to continue operations," the Springfield Ski Club told members that if the area was not sold, it would be closed. On July 18, 2017, the membership approved a prospective sale to the ownership of nearby Ski Butternut. On July 25, 2017, Ski Butternut owner Jeffrey Murdock formed Blandford Properties LLC to acquire the ski area. On September 1, 2017, Blandford Properties LLC acquired the ski area deed from the Springfield Ski Club for $269,000. Subsequently, hundreds of thousands of dollars of mortgages were discharged. Since the sale was finalized, many projects have been undertaken, including improving snowmaking infrastructure, installing new point of sale systems, and painting the lodges. Located in Great Barrington, Ski Butternut was opened by the Murdock family in 1963. 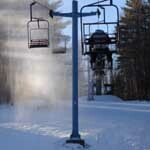 Ski Butternut has a history of coming to the assistance of other regional ski areas, dating back to when Channing Murdock purchased the defunct Satan's Ridge ski area and reopened it as Ski Sundown. In 2011, Jeff Murdock's Stoney Management became involved with nearby Otis Ridge and took ownership of it at the end of 2016. The Springfield Ski Club has been existence for some 80 years, making it the longest continuously operating ski club in the country. The future of the organization is not known. The Ski Blandford facility features three Hall double chairlifts, a surface lift, snowmaking, night skiing, and 465 foot vertical drop.